Facebook: To "Like" or to "Share"? Facebook: To “Like” or to “Share”? When you click the Facebook “Like” button on an enabled third-party website, you might notice some changes. 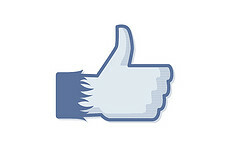 Before, pressing the “Like” button would insert a tiny line into your newsfeed saying that you did so. It would not appear in the feeds of any of your friends, and would often pass unnoticed. If you wanted to add a comment on something and share it with friends, you would use the “Share” link (something noticeably absent from Facebook’s iPhone app). While this enhancement simplifies link-sharing, it may present some annoyances. For instance, if you’re in the habit of Liking a lot of things, you run the risk of bloating your content stream and irritating your e-friends. Also, certain iterations of the Like button don’t allow you to comment on what you favor, so you may be blasting out information sans context. Websites are wholeheartedly loving the new change as they get greater visibility through clickers, but users are not sitting well with the new Like button. Why would anyone ‘Like’ a viral video of police brutality rather than just ‘Sharing’ it? Having done an extensive amount of reporting and blogging in the aftermath of Hurricane Katrina and the New Orleans levee failure, I completely understand the need for personal context when sharing new items. We can only hope that the functionality rolls out to the iFrame-based version. This move is likely motivated by marketing and promotional strategy, Travis Hodges, a social media specialist and account executive at Drum Marketing, told TechNewsWorld. It’s like that 1980s Faberge Organics shampoo commercial with Heather Locklear. “I told two friends, and they told two friends, and so on, and so on…” This is the essence of what marketers seek. While many marketers and website owners are crowing over the new functionality, there is another aspect of things that I’ve yet to see much commented upon — the “attention rationing” nature of the new newsfeed. The phrase “attention rationing” is a beautiful description of the way Facebook feeds now display. The new algorithm populates your wall with posts and comments from the people you interact with the most. This has a direct impact on what turns up on your wall, an effect that becomes more pronounced the larger your friends list is. Tom Webster, VP of Edison Research, coined the phrase. What this means is that regardless of how many ‘friends’ you have on Facebook, if you confine your interactions to a small, select group, you may never even suspect that the others are posting updates. I’ve certainly seen this in my own feed, which now reliably rotates items from the 15-20 people I interact with the most, and rarely, if ever, shows updates from distant connections. In short, my news feed has become a true meritocracy: it’s hard to get my attention by accident. So, on the one hand Pages now have more reach, and on the other hand the new feed algorithm reduces what appears in the feed based on level of interaction. I wonder how these two will balance out as time goes by? Will one have more impact than the other? Let us know your thoughts! Image by MailChimp, used under its Creative Commons license.